Change was the name of the game for 2018. The city of Sandy saw several changes on the City Council, with the resignation of three councilor, Lois Coleman, Olga Gerberg and Don Hollis; the appointment of three new councilors, Scott Horsfall, Jean Cubic and Jan Lee; and the election of Mayor-elect Stan Pulliam who will be sworn in on Jan. 7. In the spring, the city began the planning process for the Pleasant Street Master Plan, which aims to expand the city's core by making Pleasant Street more accessible from downtown, connecting facilities like the proposed Sandy Community Campus to the Sandy Public Library. How the city intends to do that, however, remains in the works after a few contentious drafts. Staff also introduced conceptual plans for the Sandy Community Campus, a multipurpose facility the city plans to build on the site of the old Cedar Ridge Middle School, which it purchased a few years ago. By June, the city also unveiled a new brand with the tagline "Where Innovation Meets Elevation" in June. The Post itself saw some changes, with the addition of both a mountain- and Boring-focused monthly page. The Mountain Summit premiered in the Feb. 21 edition with a profile on Welches resident Caryn Tilton, who founded Mt. Hood Art Online, and the Boring Bulletin made its first appearance in May. April was a time of remembrance for local icon and Sandy Historical Society Board President Bob Boring, who died at the age of 78 on April 28. The fourth generation of the Boring family for which the small town is named, Robert "Bob" Boring epitomized what it means to be from Boring. Many knew him to be a hard-working, giving man, who never turned down a chance to help his community. Bob was born in Portland on Jan. 27, 1940, to Willard and Frances (Adair) Boring and grew up on the family farm in Boring. Bob passed away after fighting pancreatic cancer for two years. "I would call him an active community volunteer," Ann Marie Amsted of the Sandy Historical Museum told The Post at the time. "He was just all over the place." Being a piece of local history himself as the great-grandson of William H. Boring, Bob loved the history of the Boring and Sandy area. As such, he dedicated a great deal of his time to volunteering at the Sandy Historical Museum, serving as the president of the museum's board for three years. "The museum was really his favorite, I'd say," Amsted noted. "He built four of our exhibits. He was not just a volunteer but he was a very giving and talented craftsman." If you visit the museum at 39345 Pioneer Blvd. in Sandy, you can still find exhibits handcrafted by Bob, and a few might even incorporate his voice in the sound effects. With summer came a long-awaited arrival — the completion and opening of the renovated and reconstructed Sandy Fire Station. Four years in the making, the new Sandy Fire Station opened on June 23. 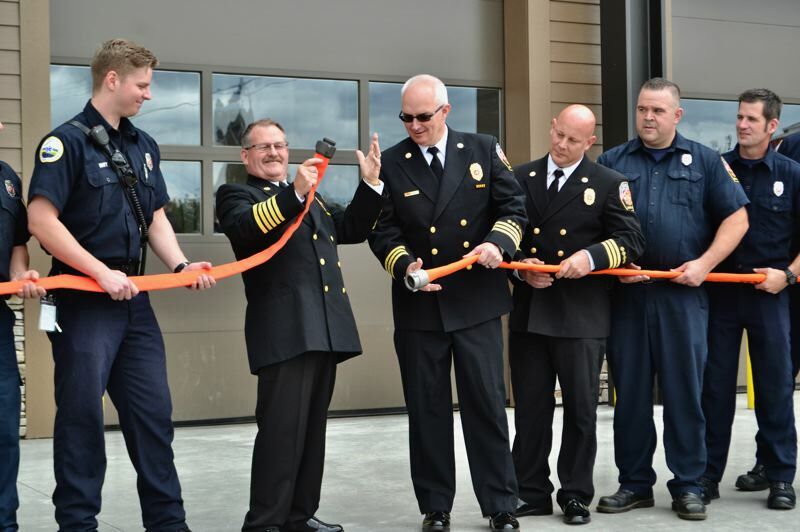 The firefighters rolled out a red hose for a nontraditional, yet fitting "ribbon cutting" ceremony for the facility at 17460 Bruns Ave.
"We want to thank you all for your support and continuing support always in our service," Schneider said. "Here we are today, and we're happy to say this is our 18,000 square-foot seismically engineered building, and it should be built for 50 years." The building cost around $6 million, and the department partially funded the project with a $1.2 million grant from Business Oregon. The rest came from the city's urban renewal fund. 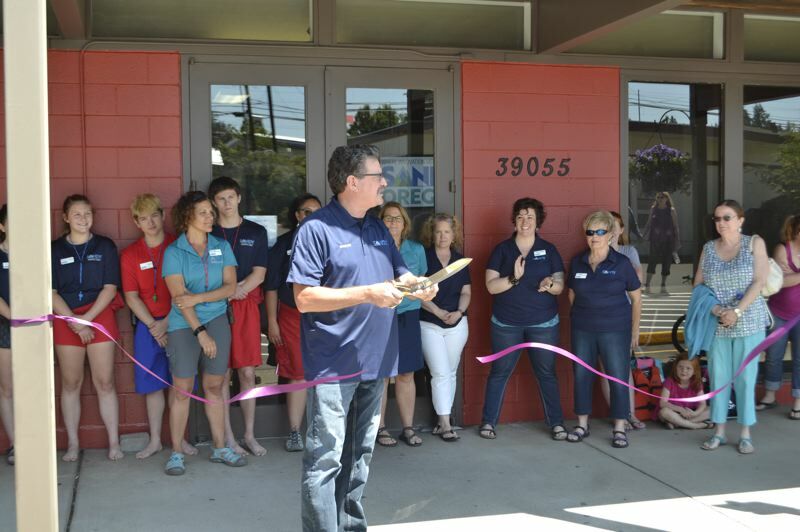 The reopening of the now city-owned Olin Y. Bignall Aquatic Center wasn't far behind. Mayor Bill King performed a ribbon cutting at the somewhat renovated pool on July 5, followed by a five-hour free swim for the community. Though the diving board and slide were removed, the addition of a large inflatable obstacle course offered hours of entertainment at the event. "The pool opening was a huge success thanks to (Community Services Director Tanya Richardson) and the entire staff at the Community Center," City Manager Kim Yamashita told The Post. "She had a wonderful vision and made it happen." The center at 39055 Pleasant St. was closed for a few months after the city's official purchase of the property. The closure allowed for the city to do some needed renovations to the space for safety and efficiency purposes. Among the changes were maintenance to the HVAC system, a boiler upgrade, the installation of new computers and software and the removal of the slide and diving board because of safety concerns. The pool will close again in fall 2019 for additional renovations. The Mount Hood communities saw many reasons to celebrate in 2018. Mt. 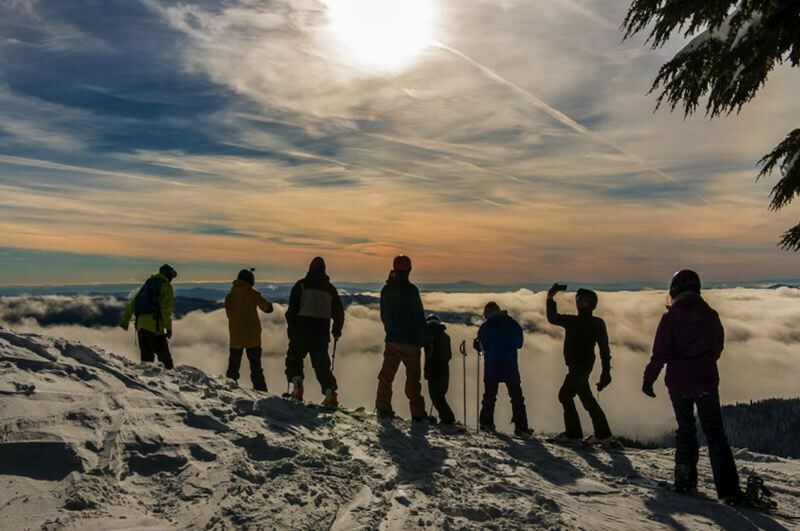 Hood Meadows kicked the year off with a party in the powder on Jan. 27 to celebrate its 50th anniversary of snowboarding, skiing and more on Mount Hood. The event included a vendor village, plenty of possibilities for snow play, live music, a retro skiwear fashion show, fireworks and opportunities to win a golden ticket and a chance to go home with a 50-year pass to the ski resort. "The terrain (is what makes Meadows unique)," Dave Tragethon, vice president of marketing, communications and sales for the ski area told The Post. "It's the nuances, the undulations. The mountain itself is so playful and has character. I think that's one of the things that keeps bringing people back — the character." In June, the Rhody Rising subcommittee of the Rhododendron Community Planning Organization (CPO) voted and implemented a new logo to represent the community on merchandise and local signage. Area artist Laurie Crabb designed a colorful badge-like logo featuring a Rhododendron and a view of Mount Hood. The Rhody Rising group has already begun using the design to order T-shirts, coffee mugs and other souvenirs for visitors to the area. "It's going to be fun seeing it float around and seeing people walk around with my handiwork on," Crabb noted back in June. July brought a first for the community — the inaugural REVEL Mt. Hood Marathon and Half Marathon took place bright and early on July 28. 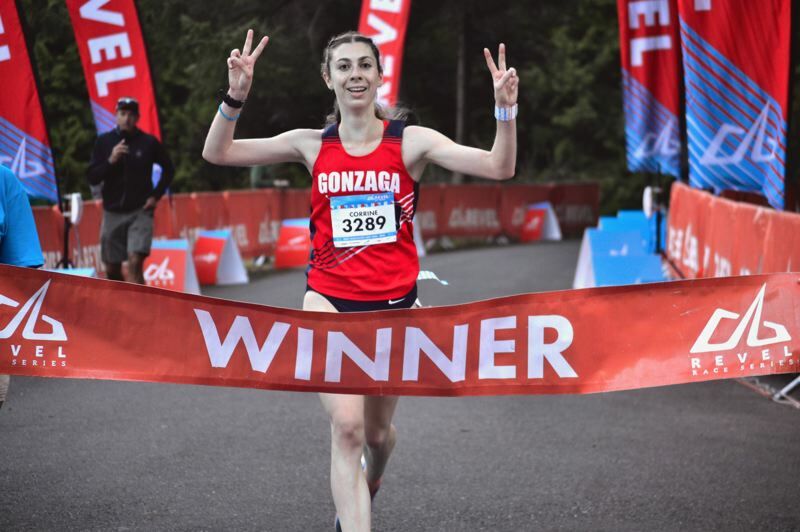 More than 1,600 runners participated, with 36 from Sandy, Boring, Rhododendron, Gresham, Corbett, Troutdale and Estacada. The 26.2 mile marathon route ran from Timberline Lodge down to the Sandy Trout Farm on Sylvan Drive outside Sandy. The half marathon route ran from Lolo Pass Road to the Trout Farm. The event was a qualifier race for the Boston Marathon. Organizers have already contacted the Mt. Hood Area Chamber of Commerce about hosting the event again in 2019. Patriotism was alive and well in Boring in 2018. 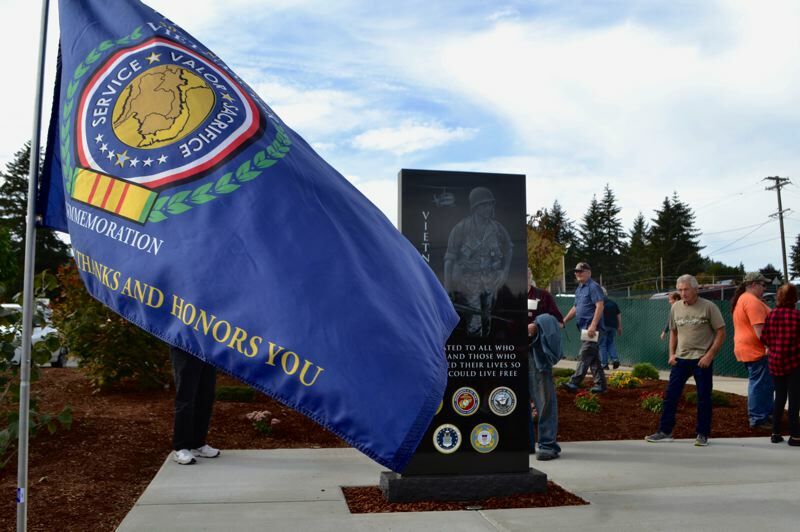 The community dedicated its new Boring, Oregon Vietnam Veterans Memorial to commemorate all 42 soldiers of Clackamas County heritage who fought and died in the Vietnam War on Sept. 21 in Boring Station Trailhead Park. Several dignitaries attended, and the organizers raised the POW-MIA flag over Boring for the occasion. "What the group has accomplished is "better than I expected ... It was nothing I did," said Steve Bates, chairman of the Boring Committee on Memorials and Remembrance. "I had a lot of help." Voting accessibility was improved in Boring in October with the installation of a ballot dropbox at the Boring branch of Clackamas County Bank, 28500 Highway 212. The need was already recognized by the community, so the Boring Community Planning Organization (CPO) made a request to Clackamas County, and the clerk's office obliged. "Election security is of paramount importance to me," Clackamas County Clerk Sherry Hall said in a statement. "Residents can rest assured that their ballots are going to be safe and counted." The November election was a nail-biter for many with both the House District 52 and Senate District 26 races coming in neck and neck on Nov. 6. In the end, Hood River Democrat Anna Williams deposed Rep. Jeff Helfrich, R-Hood River, by 897 votes. Sen. Chuck Thomsen (R-Hood River) saw a narrow victory over Chrissy Reitz (D-Hood River) with only a 209-vote gap. Look for an article on today's Post front page about what policies and bills Rep. Williams and Sen. Thomsen plan to support in the 2019 legislative session starting on Jan. 22.